Blue skies and sunshine have been hard to come by in London recently, and the weather forecast is relentlessly grim. When the sun does shine, there is a limited window of opportunity to enjoy it. During these short winter days a cold but sunny day is special. The light lasts longer into the afternoon; a sign of things to come, that the worst of winter is behind us. 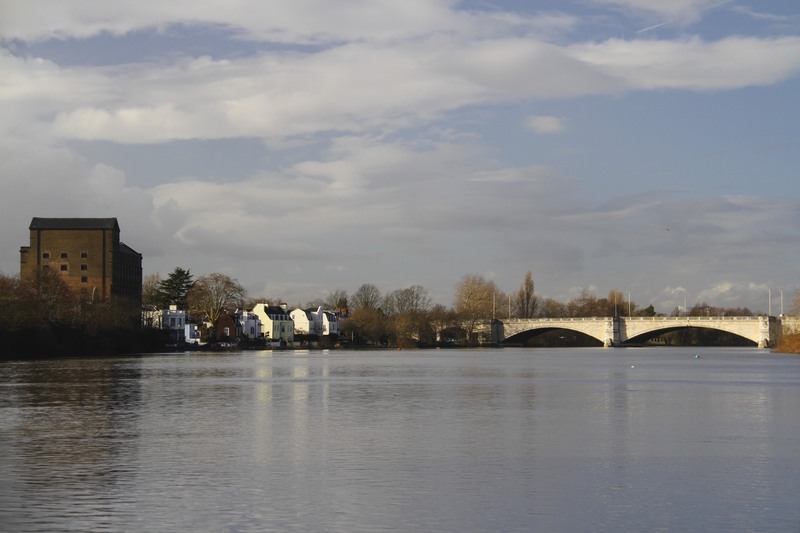 I decided I’d walk along the Thames from Barnes Bridge to Kew Bridge. The tide was high and parts of the path were flooded and impassable. 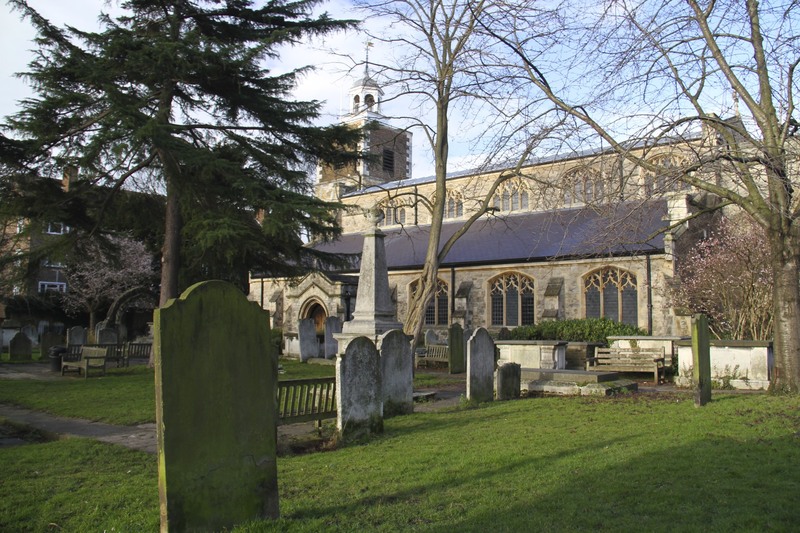 This proved lucky, I came off the river at Mortlake and discovered the lovely Church of St. Mary the Virgin. 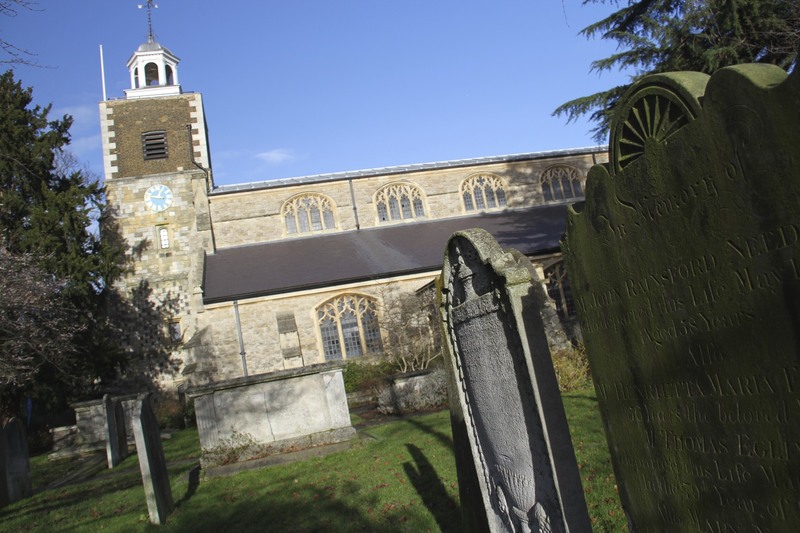 The stonework of the church tower looked old, the cemetery was atmospheric, but the supernatural connections of a person buried here makes St. Mary’s special. 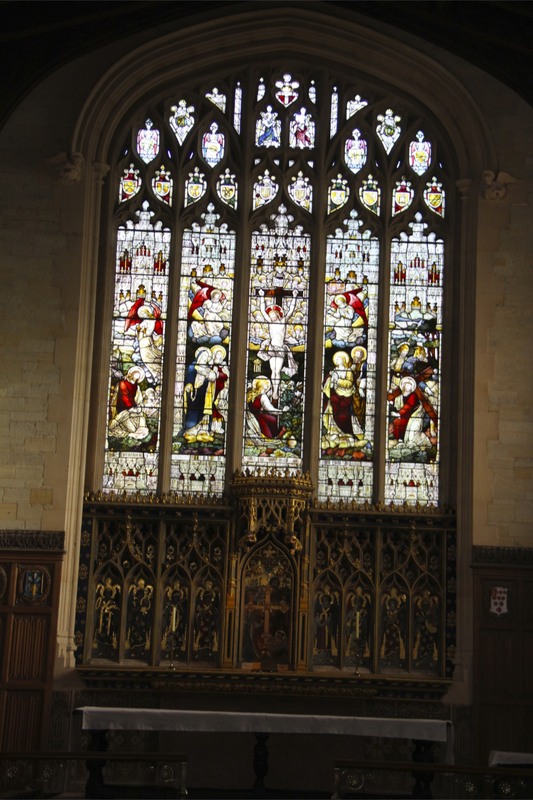 Inside the church is a plaque to John Dee. The name was familiar, but I couldn’t remember why. With access to a computer, it dawned on me that a modern opera, Dr. Dee, recently celebrated his life. The work of Blur frontman, Damian Albarn, and future head of the National Theatre, Rufus Norris, it premiered in 2012. This isn’t the first time Dee’s featured on stage, Prospero in Shakespeare’s The Tempest is thought to be based on him. A fitting portrayal since Dee is credited with summoning the storm that smashed the Spanish Armada. He’s also fictionalised in Peter Ackroyd’s novel, The House of Doctor Dee. 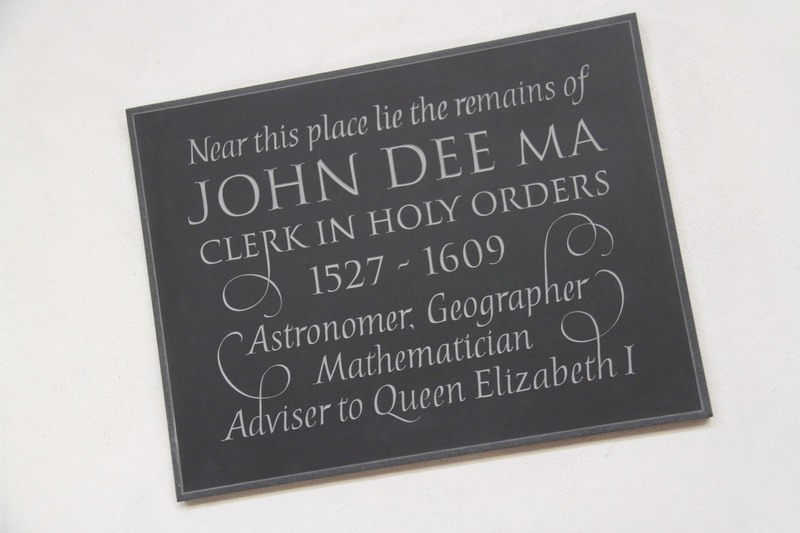 A trusted adviser to Queen Elizabeth I and her court, Dee was a mathematician, alchemist, astronomer, mystic, astrologer, geographer and occultist. He was rumoured to be a spy and he famously owned one of the largest libraries in Europe. He was a student of the teachings of Hermes Trismegistus, a pre-Christian writer/prophet, possibly a contemporary of Moses, who influenced many early Christian thinkers. This is the sort of discovery that happens when the Thames floods. 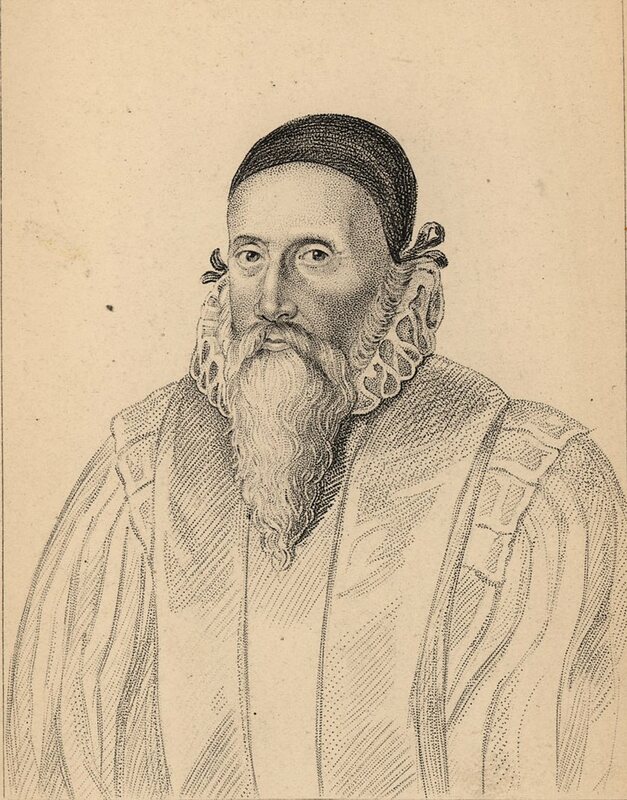 John Dee had an extraordinary life. 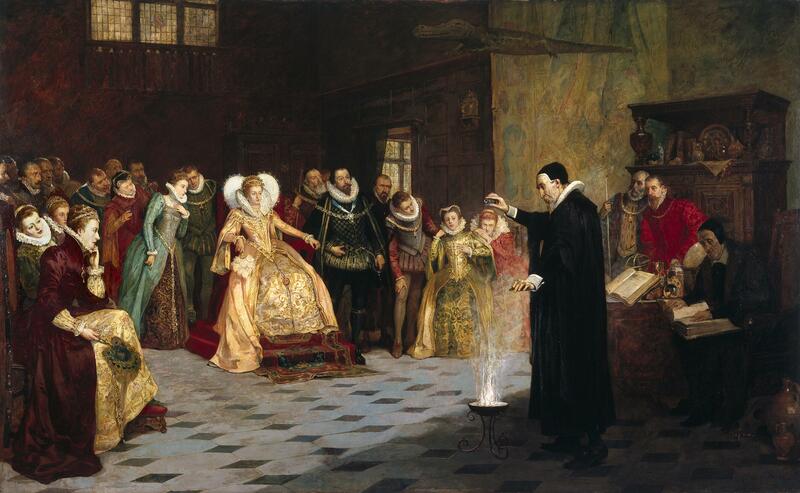 During the reign of Mary Tudor, he was imprisoned for for attempting to murder the Queen through black magic. He was lucky to keep his head. Considered an intellectual giant in his time, at the age of twenty he lectured at the University of Paris on algebra. 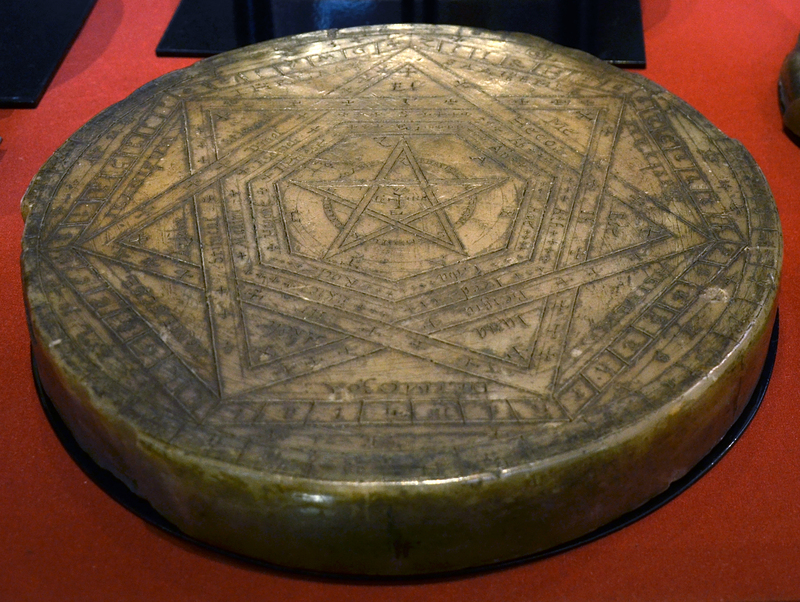 He was deeply religious, but in a superstitious era, when people grasped at anything to make sense of the mysteries of the physical world, his ‘knowledge’ of astrology and the supernatural made him invaluable to Elizabeth I. He chose her coronation date to ensure it was auspicious. His study of astronomy made him an ‘expert’ in navigation, at a time when Europeans were starting to explore the New World. Dee had made friends with legendary map maker, Gerardus Mercator, while in Belgium. It seems he stole some of Mercator’s maps and on his return to Britain published a book, General and Rare Memorials pertayning to the Perfect Arte of Navigation. This proposed English expansion around the world – a blueprint for empire. Established as the foremost expert on navigation, he trained many of England’s merchant adventurers before they set sail for the New World. To a modern mind, Dee’s mysticism took him in bizarre directions, including communing with angels, by which he believed it possible to understand the divine fabric of the world. He seems to have believed a confidence trickster, the ‘spirit medium’ Edward Kelley, who claimed to be able to hold ‘spiritual conferences’ with angels in Enochian, the angel language. The angels dictated several books to Kelley and the ‘spiritual conferences’ were taken seriously – both men were invited to the court of the King of Poland. In 1587, Kelley told Dee that an angel had ordered both men to share everything in common, including Dee’s much younger wife. If that doesn’t set alarm bells ringing, I don’t know what does? Dee believed this to be a divine order and complied. History doesn’t record how Mrs. Dee felt about this divinely inspired arrangement. We do know that she died of plague in 1604, there is no evidence to suggest this was divine vengeance. Today, Dee would be seen as a deluded religious fantasist, but that is the benefit of living in an age of science. In his own time he was considered one of Europe’s foremost scholars, taken seriously by Kings, Queens and religious authorities. He was, after all, a contemporary of Nostradamus. 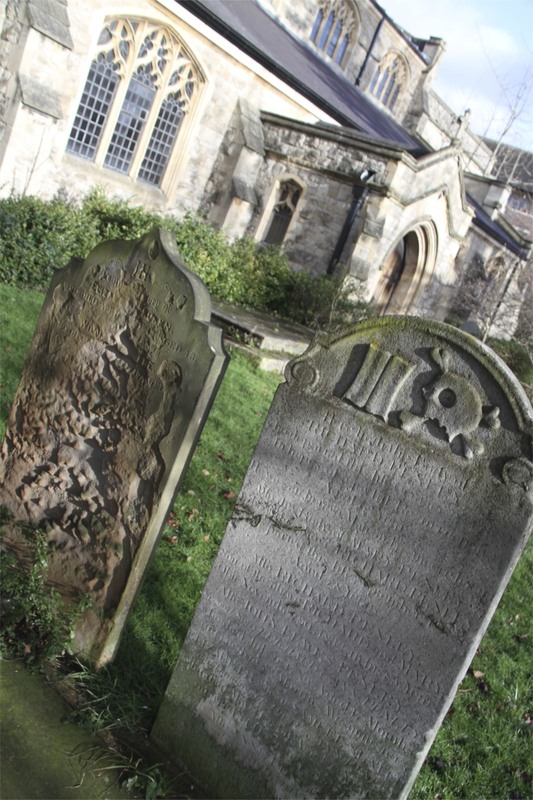 Sadly Dee’s grave has been lost over time, but he was buried at St. Mary the Virgin in 1609. 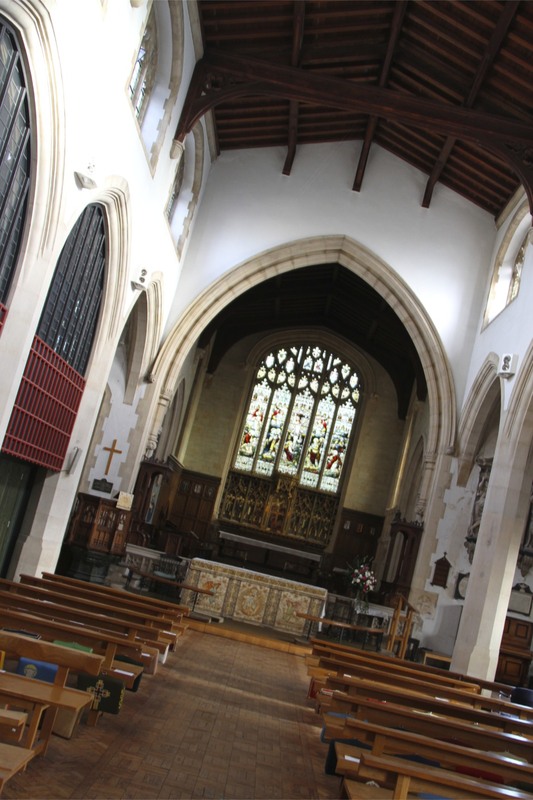 The church itself was constructed in 1543 on the instruction of King Henry VIII and makes for happy wandering. 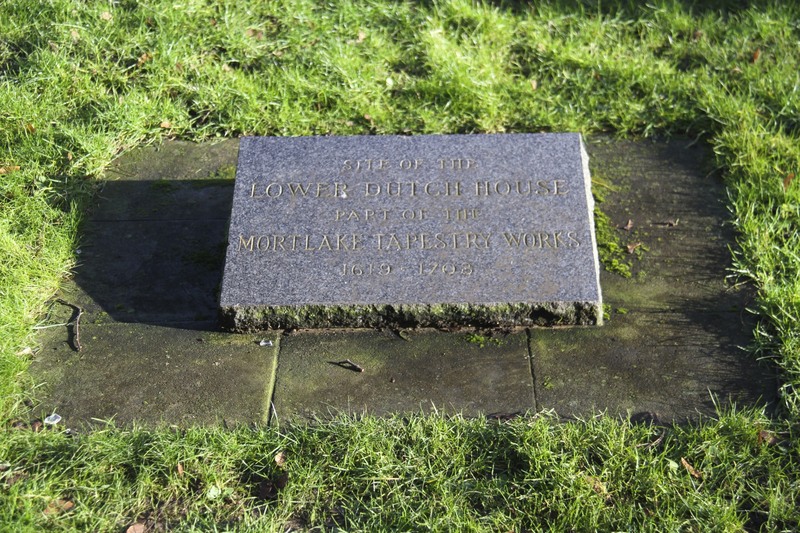 In another coincidence, just over the road from the church I came across a memorial to the the Lower Dutch House, part of the Mortlake Tapestry Works. 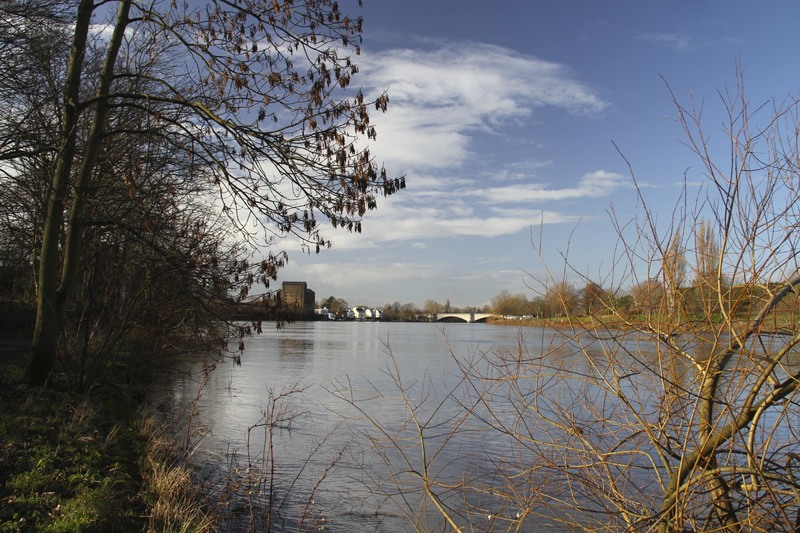 The Tapestry Works were established in the 1620s on the site where John Dee’s house had stood and, as so often in English history, it attracted highly skilled immigrant Flemish tapestry workers. The tapestries made here were famous and very valuable.